Really quite remarkable: Kühntett has existed since 2005 and with the same group members until today. This is real friendship. And the young guys knew from the start, swore an oath, that they would tread the long path to "fame and honor" resolutely and single-mindedly. They have been rewarded for this time and again. They continually received awards along their path: 2nd place in the International Jazz Prize Biberach in 2006, 2nd place in the International Jazz Next Generation Contest Straubing in 2007, 1st place at the European Next Generation Jazz Prize in Burghausen in 2009 and 4th place at the "Jazz Hoeilaart Competition" in neighboring Belgium. In addition, Axel Kühn won the Baden-Wurttemberg State Jazz Prize in the same year. 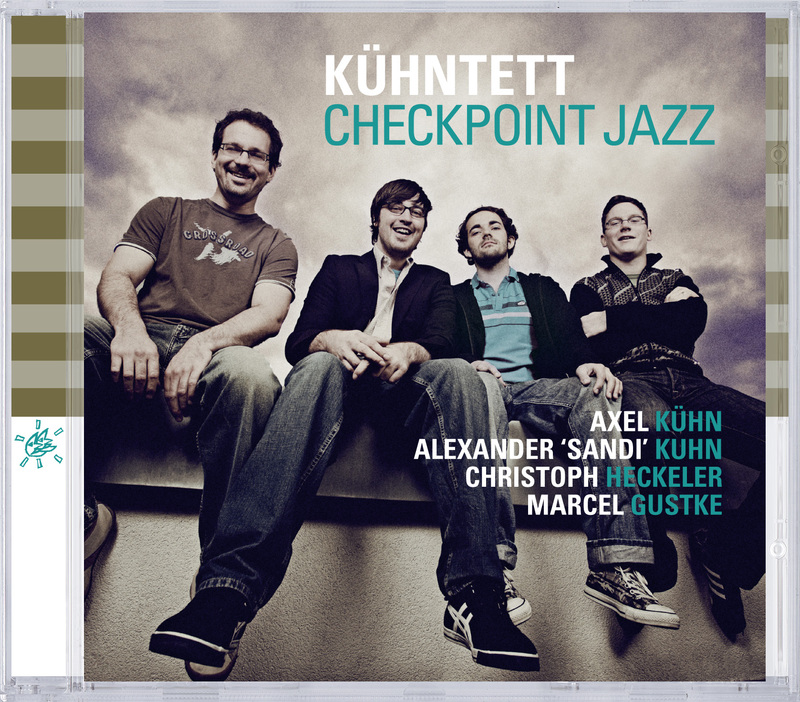 In 2010, Kühntett then concentrated on recording its third album "Checkpoint Jazz", which we would like to present here. This is not a typical jazz quartet recording. The good ideas of Kühntett for compositions and – above all – arrangements ensure that. The additional tonal qualities create the decisive attraction. For example, the lap steel guitar played by Rüdiger Eisenhauer can be heard on three of the nine pieces, and the acoustic guitar Fabiano Pereira is also on these three tracks. In three other pieces, Kühntett is accompanied by the string quartet Strings DeLuxe, whose parts were arranged by Wolf Kerschek. Wolf Kerschek received a classic ECHO prize, arranged the FIFA hymn at the soccer world championships in 2006 and has already put his arrangement skills at the disposal of musicians from Barbara Schöneberger to Rammstein. Kühntett calls its style "melodic modern jazz". Their melodic jazz actually is modern in the sense that also they integrate other musical influences unconstrained and fittingly without leaving their jazz path.